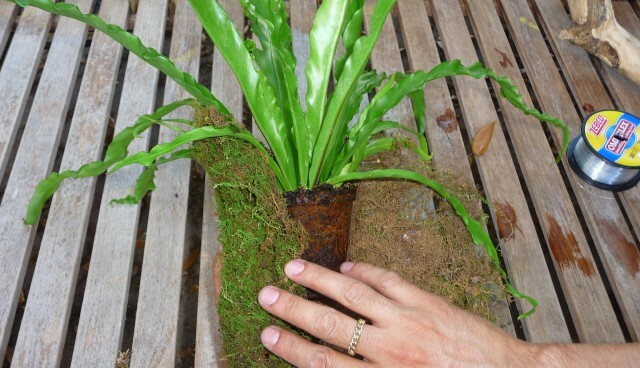 Since this “Bird Nest Fern” (Asplenium antiquum ‘Victoria’) can naturally grow on trees and even rocks as many ferns do, we wanted to show how to mount them to wood. 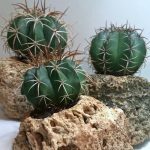 It’s simple and can be an interesting option to growing it in a pot or basket. 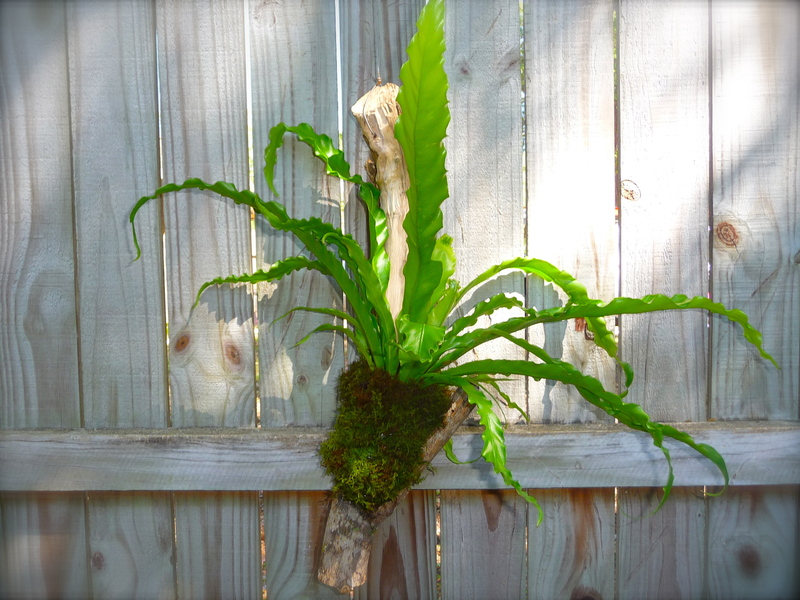 If you plan on hanging your Bird Nest Fern after it is mounted you will want to get that step out of the way first. 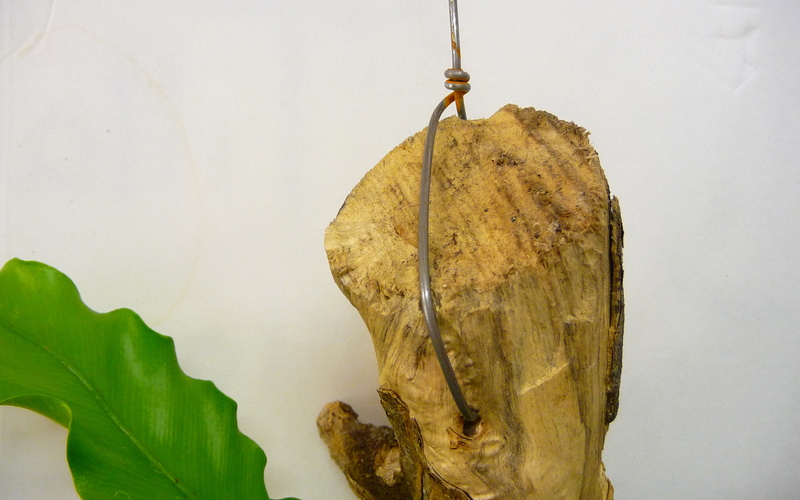 Drill a hole into the wood mount or branch and use heavy gauge wire (or reuse a wire hanger) to create a loop to hang it by. It’s easier to do it now than after you’ve mounted the plant. Next, remove your Bird Nest Fern from it’s container and shake out some of the dirt to make it easier to mount it. If you have a wood mount with a lot of support, like a “Y” shaped branch (like we are using) to nestle the plant into, you could get away with more dirt. Less dirt may work better if you’re using a flat mount. For this project we used wood from an Orange Tree because it’s a hardwood and it had been dead for a couple years. It’s better to use wood that has been dead for at least several months, or to be safe, you can buy a mounting plaque at your local nursery. 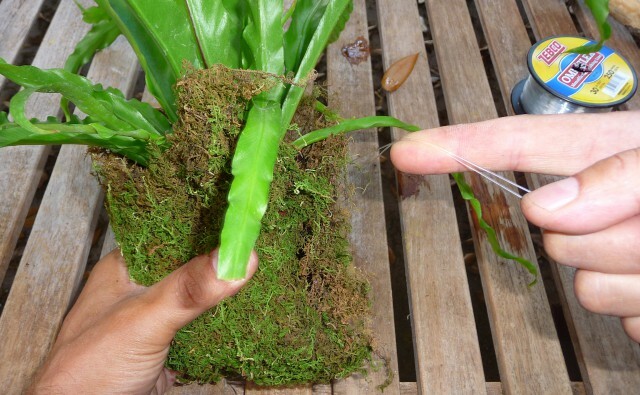 Take a big piece of sheet moss and wrap it around the roots of your Bird Nest Fern. Place the Bird Nest Fern onto your wood mount with the exposed roots against the wood and continue wrapping it with fishing line. 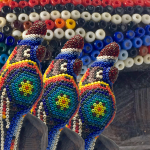 Go around several times until it’s held tightly against the wood. Once you have it secure, go around and tuck in the excess moss around the plant. 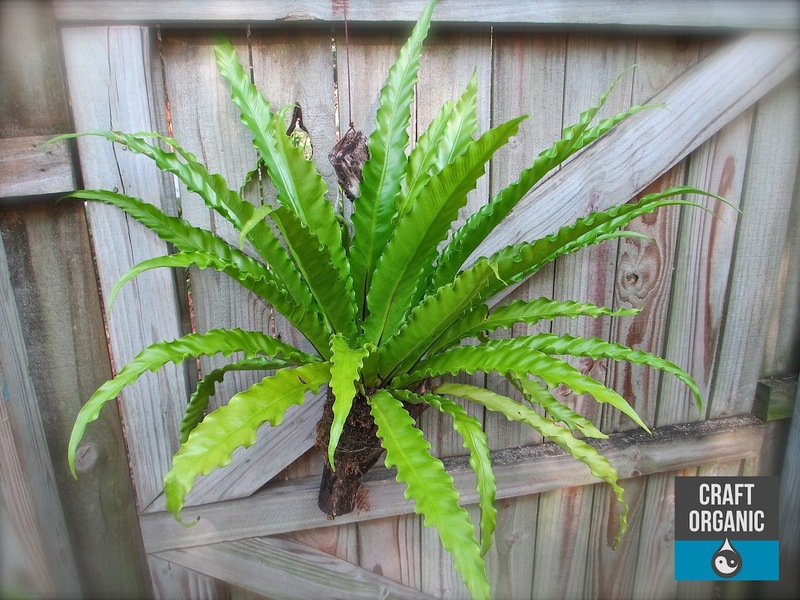 Hang your finished Bird Nest Fern in a well lit area with indirect sunlight – No full sun. We thought we would show how well the fern is doing. You can barely see the wood! This was very helpful. Showed me exactly what I wanted and how to do it. Thank you. The fourth picture, one of your hand on the fern, what is the brown thing at the roots’ part of the fern. Is it moss? That is part of the fern. The fern came potted and that’s what the roots looked like after the pot was removed.